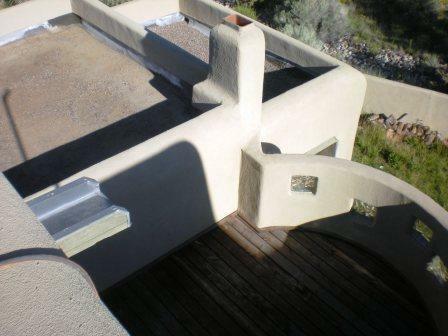 Modified Torch-Down – The preferred type of roofing for a flat roof. Any flat roof should be checked once a year for leaks and potential problems. Built-up Asphalt – Advance Concept does not recommend this type of roofing due to the weight (all those rocks!). It’s also almost impossible to find a leak, and it has inherent risks and dangers. TPO – A white sheet that if not installed correctly can come a part at the seams. Customers need to be very careful about warranty given by other companies. This type of roof is used on commercial buildings. Foam Roof – Good insulation, requires recoating every 10 yrs.. Problems with birds (or people) making holes which hold water. If the mixture is not just right, they can blister, also causing holes for water.